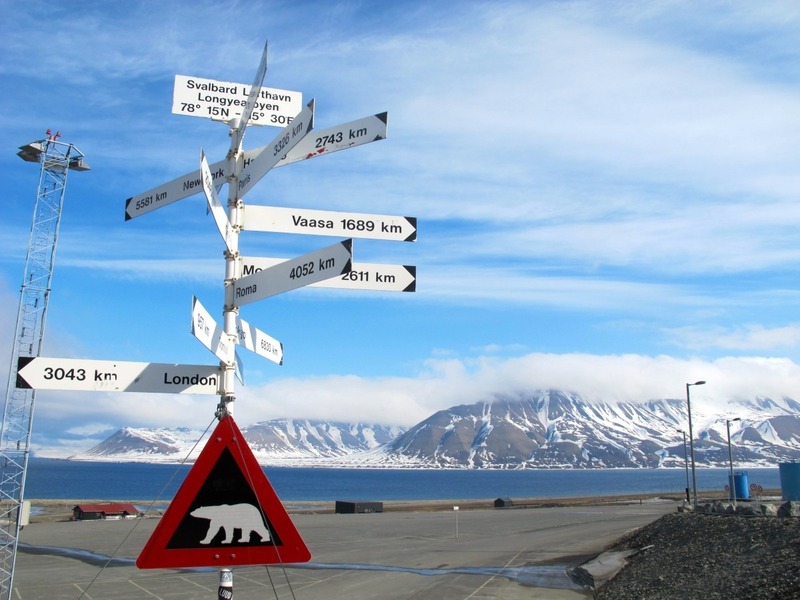 There are quite a few options of places to stay in Longyearbyen given the fact that more polar bears live in Svalbard than people! 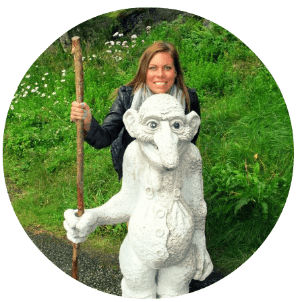 This is a guide to the best hotels in Svalbard and will cover the most credible Longyearbyen hotels for all types of travelers. This list is mostly pretty conclusive of most Svalbard hotels, but if there are other recommendations you have, please leave them in the comments! If I was forced to pick one place on this planet that blew my mind, I would probably pick Svalbard every time. 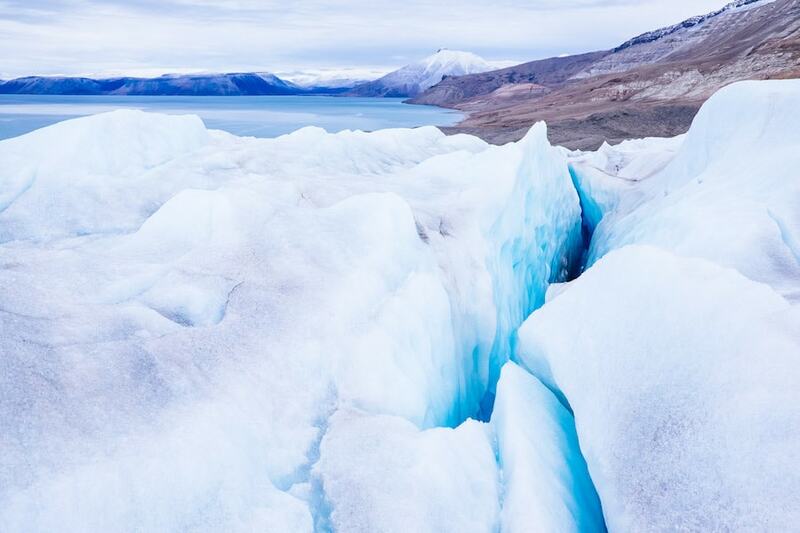 As someone with no desire to travel to Antarctica, this Arctic ‘paradise’ left me speechless. It was a different planet and one that left me captivated by its rawness and beauty. Tourism in Svalbard is up-and-coming and this Svalbard hotels guide will definitely help you get sorted and plan your trip to the northern Norwegian wonderland. If there are any hotels in Svalbard I missed or that you think should be listed on this guide, please leave them in the comments. There is a limited capacity of places to stay in Svalbard, but new places do open every so often. Because of the finite number of hotels in Longyearbyen, I do suggest booking your Svalbard accommodation as soon as you book your plane tickets there. 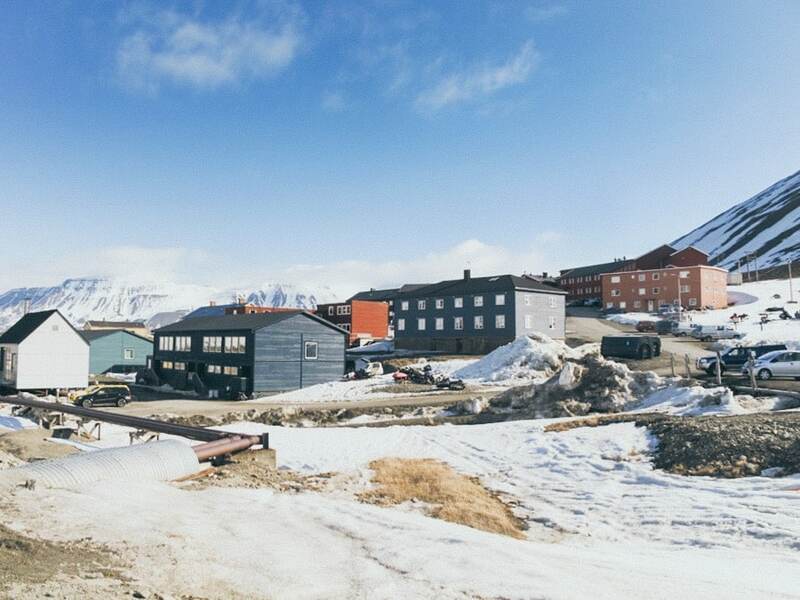 There are many hotels in Svalbard as well as apartment options. Svalbard Hotell Polfareren marries modern décor with lodge-inspired interior design as a nod to Norway’s famous ski lodges. 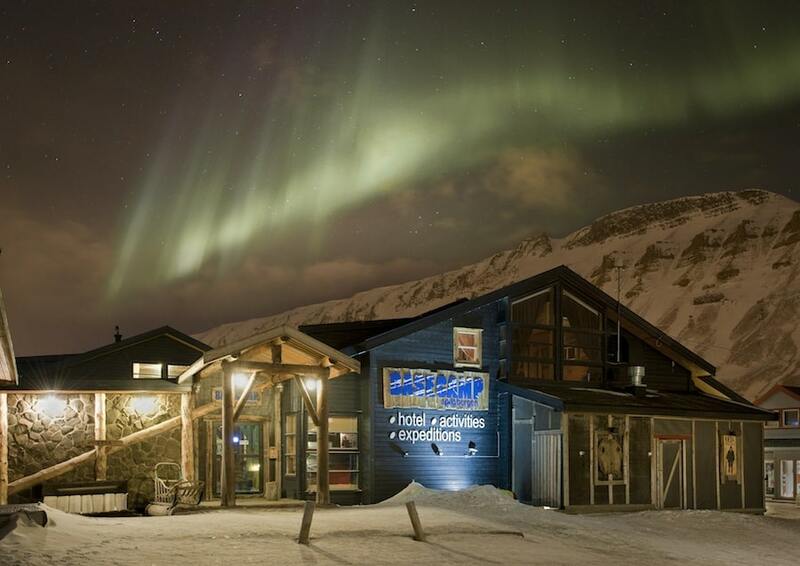 The Longyearbyen hotel has a central location in the town center and is close to the Svalbard Museum and the Lompensenteret Market. The hotel can organize outdoor activities for guests such as bike and walking tours, horse riding, Pyramiden tours, hiking, canoeing, and skiing. 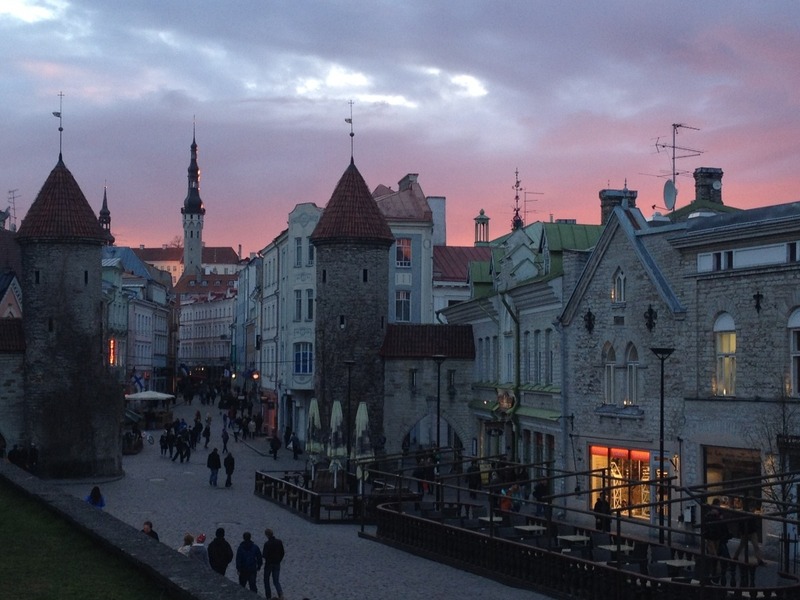 Guests can also ask the hotel for a local cultural tour if they want to learn more about the town. However, if they prefer to stay in, they can take a dip in the public bath or enjoy the Norwegian view from the sun terrace. Outdoorsy tourists will love to stay at the Basecamp Hotel, a lodge-style property offering a variety of activities to guests such as bike tours, walking tours, hiking, and skiing. 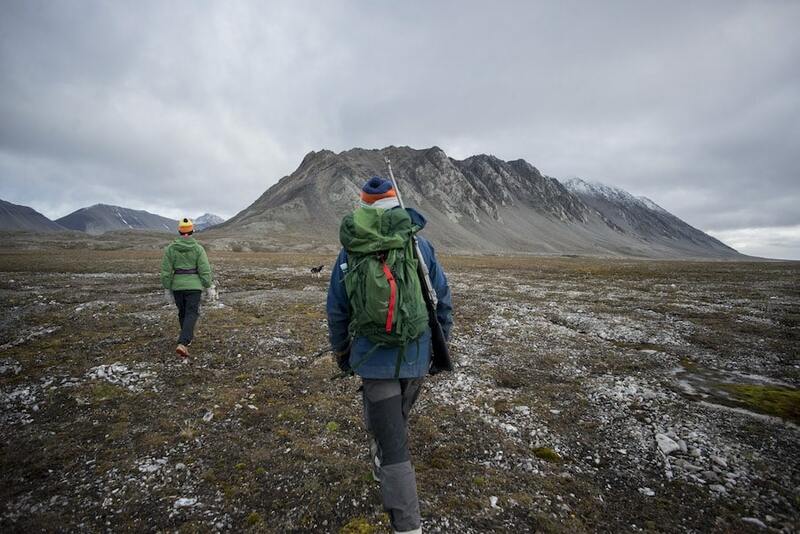 You can join outdoor adventures set up by Basecamp, including polar bear and rare Arctic wildlife encounters. 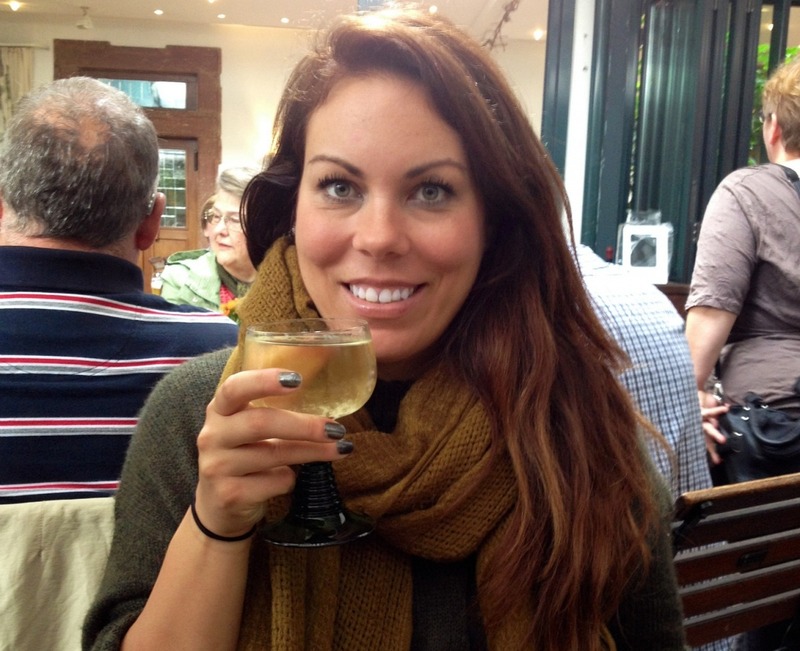 The hotel also organizes pub crawls for a fun night out meeting locals and other tourists in the area. 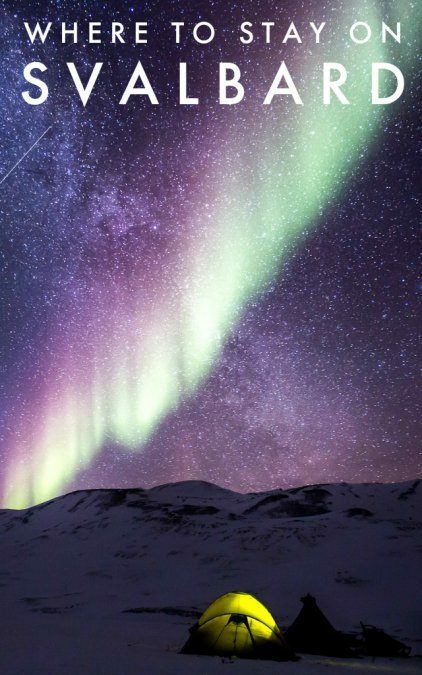 If you want to stay in and see the Northern Lights while cozied up, you can head to the Cognac Attic which has a glass ceiling, giving you the perfect view of the beautiful Norway night sky. The interior is rustic and cozy and this is definitely one of the best Longyearbyen hotels and you won’t regret booking your stay there. Photo used with permission from Basecamp Explorer. Photo by Kirsti Ikonen. 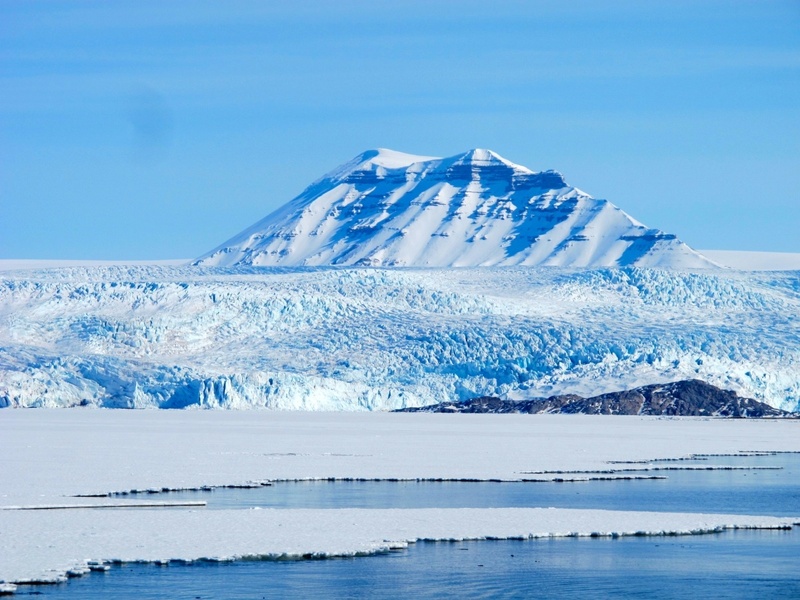 Do you want to see the snowy mountains of Svalbard from your room? Stay at The Vault and you won’t be disappointed. Its location gives guests the perfect view of the surrounding Norwegian landscape, and the hotel staff can help you join an organized ski mobile tour if you want to see more of Svalbard. The new hotel opened in February 2018. Each room in The Vault has an electric kettle, a cable TV, a seating area, air-conditioning, and a private bathroom. From October to March, the famous Northern Lights can be seen from the property, which makes these months the perfect time to stay at The Vault. Radisson Blu Polar Hotel is a modernized ski lodge that boasts impressive panoramic views of the Norwegian landscape from inside the property. Guests can enjoy different activities during the summer and winter seasons. 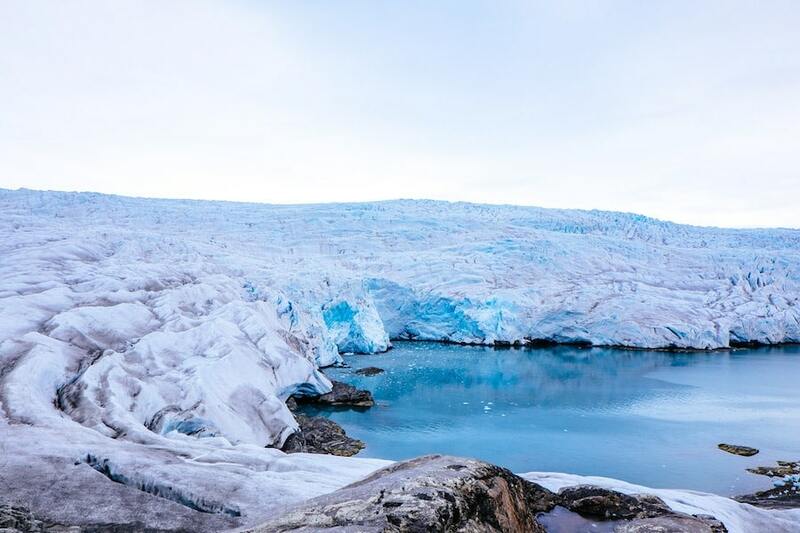 Cruises, trekking, and kayaking are popular activities in the summertime, while dog-sledding and glacier excursions are popular activities in the wintertime. Year-round, guests can relax in the on-site open-air hot tub and sauna. There’s also a bar and restaurant in the hotel that serves Arctic specialties and international dishes. The Svalbard hotel is also known for its breakfast buffet, so make sure to try it out while checked in. Located on the stunning island of Spitsbergen in Svalbard, Norway, the Funken Lodge is both simplicity and modernity at its finest. It has amenities that cater to the needs of its guests during their vacation: a fitness center, a sauna, a relaxation area, a bar and restaurant, a gift shop, and meeting facilities for business travelers. Adventurous tourists will be glad to know that the hotel can organize activities such as biking, hiking, canoeing, and skiing for them. From the hotel, the Sukkertopen Mountain is less than a kilometer away. Tourists who want to see the Northern Lights in its full glory should stay at the Funken Lodge between October and March. 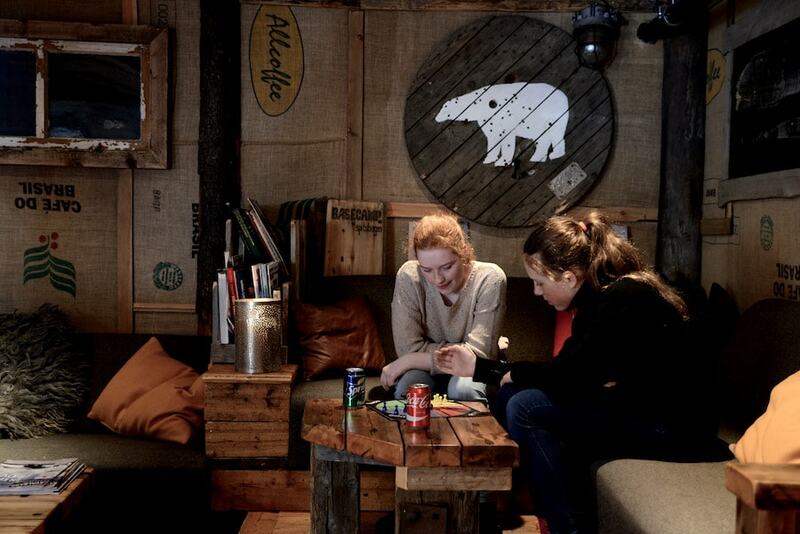 Funken Lodge has become one of the best places to stay in Svalbard. f you’re looking for a simple and affordable hotel in Svalbard, Haugen Pensjonat Svalbard is the right place for you. The property has standard rooms with shared bathrooms that can accommodate up to three people, and a two-bedroom apartment with a bunk bed and sofa bed in each room, accommodating up to six people, as well as a shared kitchen that guests can use. You can wake up and fall asleep to the beautiful views of the Norwegian snowy mountains from your room. For a comfortable stay in Norway that doesn’t break the bank, stay at the Haugen Pensjonat Svalbard. I actually stayed at Gjestehuset 102 years ago and had a great experience. The Svalbard accommodation is located a bit of a walk (around 2km) from the town center, but the walk offers views that are just unspeakable. I made this walk multiple times daily and there were reindeer hanging around the fields and views of the mountains that would make one’s jaw drop. Gjestehuset 102 offers no-frills rooms with beds and not a lot of decoration. The bathrooms were shared (for my room) and there was also a shared kitchen. But really, this is the perfect place to stay if you’re on a budget. 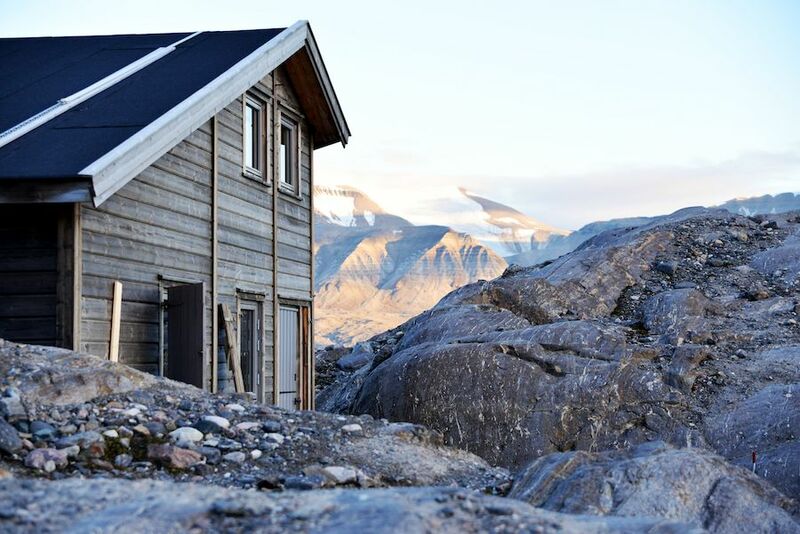 Within close proximity to the mountains and glaciers are the Coal Miners’ Cabins, a property that was once exactly as it suggests converted into reasonably priced accommodation for people visiting Svalbard. And the rooms are actually really beautiful. I had breakfast here at their delicious buffet when I was in Svalbard and the property was really lovely and the staff was friendly and helpful. 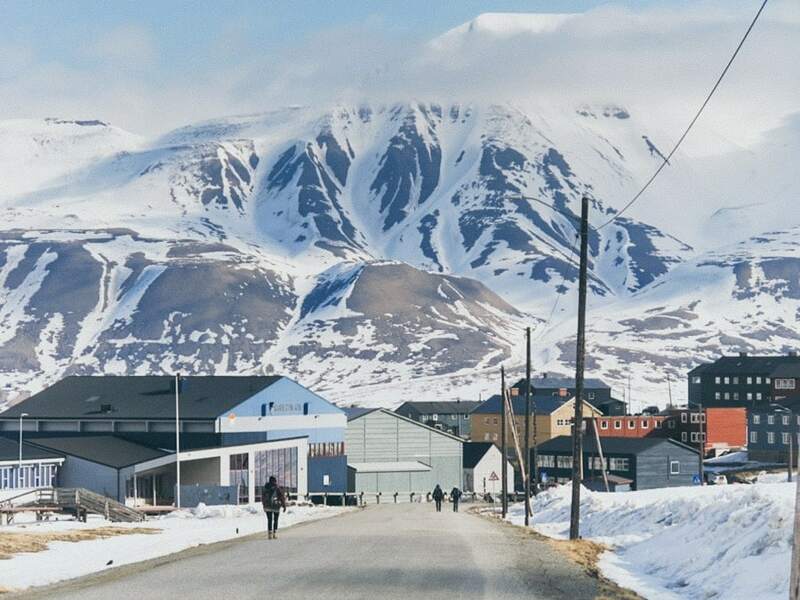 While the cabins are located in Nybyen, a ‘satellite’ town of Longyearbyen, it is worth it for the price and the walk into the town center daily. If I could pick any place in the world to crash for a couple of nights, it would undoubtedly be here at the Isfjord Radio Adventure Hotel. This hotel was once a radio station built in 1933 and while it doesn’t look like anything to write home about from the outside, the inside is completely renovated and modern and cool. The property is so far removed from civilization that you likely have a better chance of seeing a polar bear than a human being strolling around the premises. In order to get out to the Isfjord Radio Adventure Hotel, you must book through Basecamp Explorer. 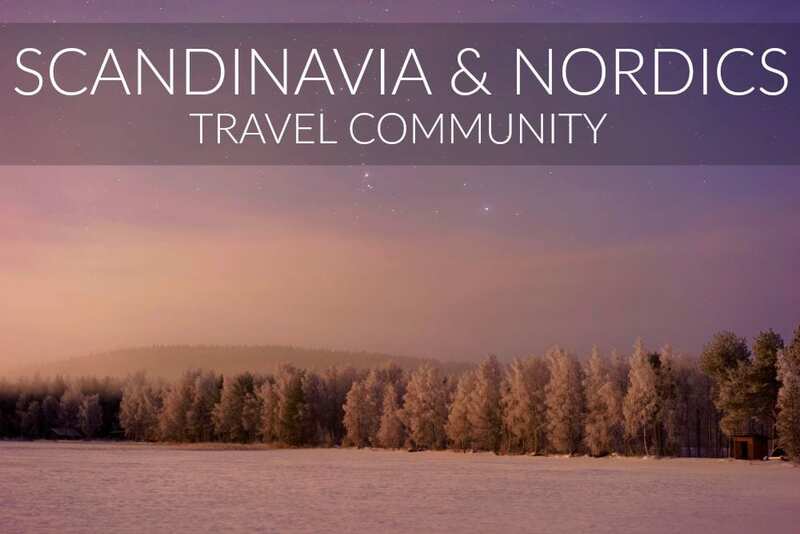 During the winter, you will arrive there by snowmobile or dogsled. In the summer, you will arrive by boat. No matter which season you pick to visit in, your mind will inevitably be blown. Ever slept at the foot of a glacier? Probably not. But, you most definitely can at the Nordenskiöld Lodge on Svalbard. This Spitsbergen hotel sits at the edge of the Nordenskiöld Glacier about 100 kilometers north of Longyearbyen. In the summers, you will arrive by boat and in the winter you will arrive by snowmobile or dogsled. The Nordenskiöld Lodge is the northernmost commercial cabin in the WORLD. How cool is that!? You can book to visit and stay there with Basecamp Explorer. They will arrange the details for you and you can, of course, visit and walk on the glacier when there with a guide. There are so many dreamy hotels in Svalbard, but I can assure you that this is one of a kind. I have seen the Nordenskiöld Glacier and it was remarkable. 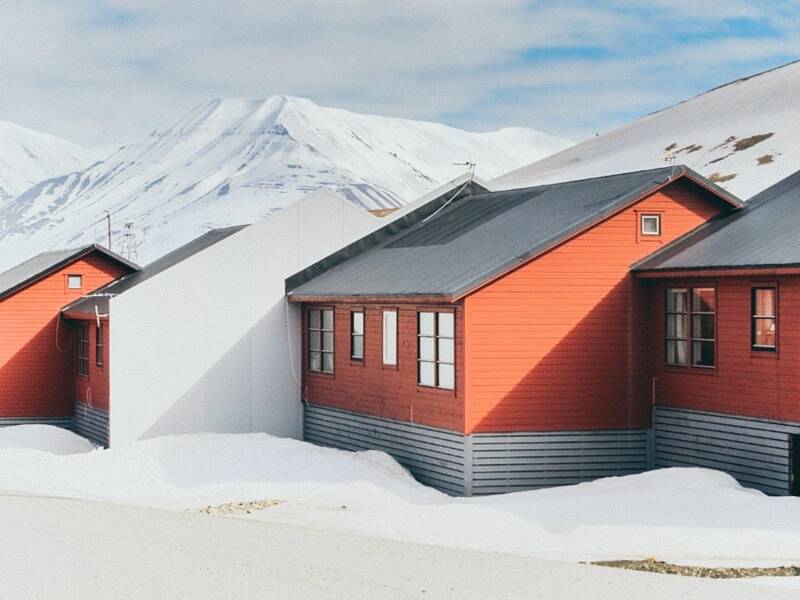 Interestingly enough, Airbnb is kind of booming in Svalbard. While it is not my favorite means of booking a hotel, it is still an option for travelers to Longyearbyen. 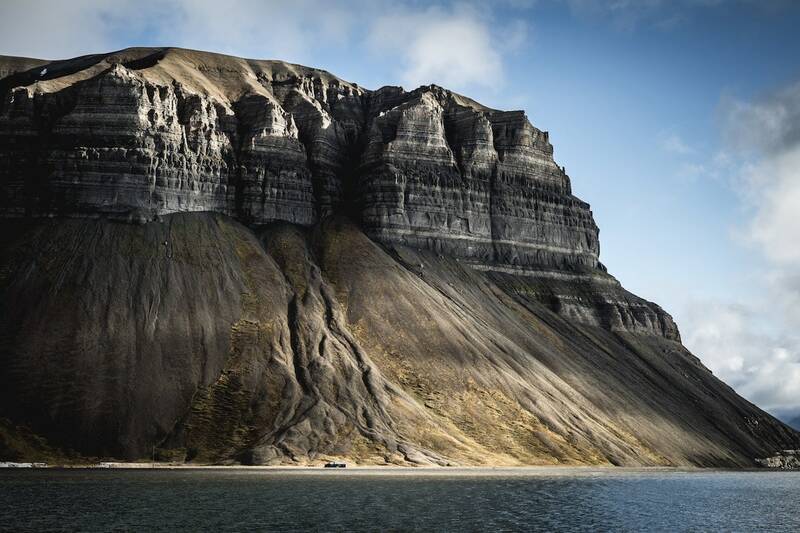 There are quite a few Svalbard apartments out there on the site and it is definitely a viable option for those that don’t prefer to stay in a hotel. Click here to sign up for Airbnb and save $29 on your first booking! 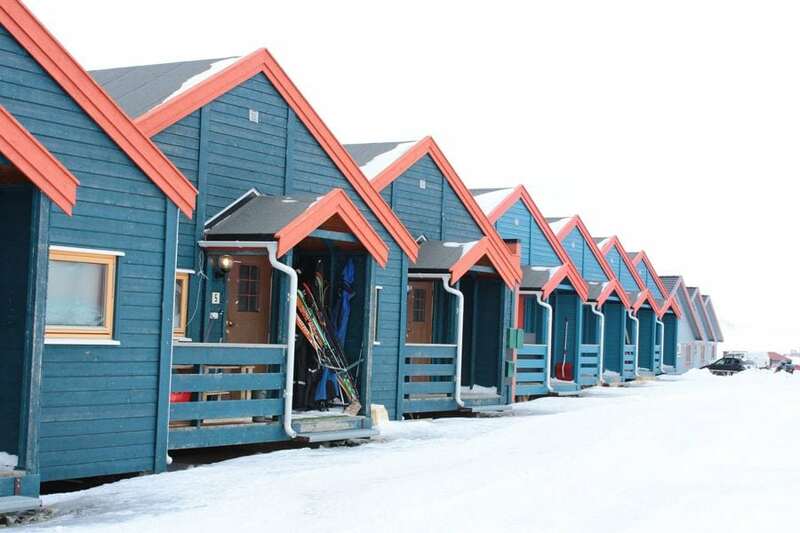 There are not only hotels in Svalbard but also many apartment options. There are heaps of tours available in Svalbard and various excursions that will satisfy all types of travelers. You can participate in hikes, polar bear watching, snowmobiling, dogsledding, etc. My recommendation is to go with Basecamp Explorer. They are highly reputable and the staff and guides know the terrain like no other. You can see their tours and excursions here. Svalbard is the most incredible place I have ever visited. If you have the opportunity to visit- please do it! There is no other place on this planet that compares. If you have any hotels in Svalbard that you would recommend, please drop them in the comments! I covered most but I am aware there are a few that are not on this guide. Have a great trip! Longyearbyen town center- where many of the hotels in Longyearbyen are located.